Spooky Nook Sports is proud to offer some of the best soccer and futsal facilities in the region. We have multiple full-sized outdoor fields, one of which is a domed field for year-round use. Indoor facilities offer four Sport Court official futsal fields and two turf fields. The complex is designed to host the region’s finest soccer and futsal tournaments, competitive and rec leagues, camps, clinics, instruction and open play. 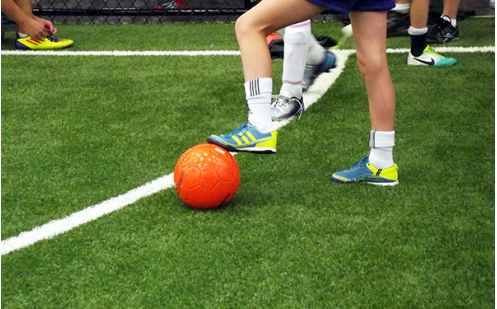 Nook Soccer instructors conduct individual lessons on the turf or futsal courts at Spooky Nook Sports. Our coaches have years of collegiate and/or professional soccer playing and coaching experience. Each session is tailored to the wants and needs of the individual athlete. Small group lessons are available as well for a discounted rate per player.